09.24.06 GM Roman Dzindzichashvili called it one of the most exciting games ever played in a world championship match. Both players went in for uncompromising chess with plenty of complications. Some regressions were evident (with the help of Fritz 9 on 16-ply) on behalf of both players and each missed the strongest continuation in turn. In the end it was Kramnik who, with 63. ... Re3 had the last move, and the last laugh. LIVE Game Link. Watch Game 3 on Tuesday, September 26 at 7:00 a.m. Eastern. See full match schedule below. Kramnik moves 3. 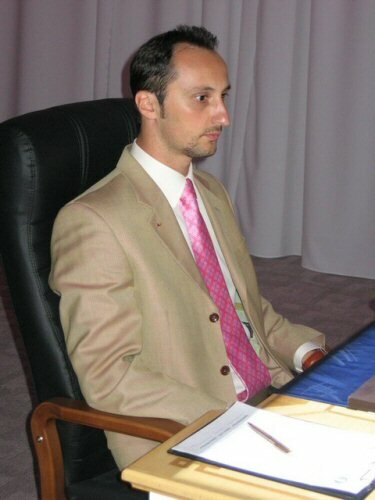 ... Nf6 in Game 2 of the World Chess Championship Match under the watchful eye of Veselin Topalov.